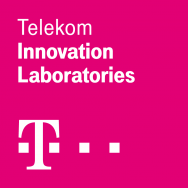 Telekom Innovation Laboratories is the research and innovation unit of Deutsche Telekom and the first port of call for innovation issues. T-Labs operates in three distinct worlds and brings industry, science and start-ups together. T-Labs works in close cooperation with the Technical University of Berlin and several other universities as Ben Gurion University, TU Wien and Budapest University (ELTE). “The Blockchain Group”, established in June 2017, coordinates all Blockchain initiatives across the Telekom Group. John Calian, Vice President of Blockchain Group and Co-Lead, Head of T-Labs, emphasizes the importance of cooperation between different players from academic, corporate and start-up ecosystem, in developing enterprise applications and defining business models for the distributed ledger technologies that respond to concrete customers problems.